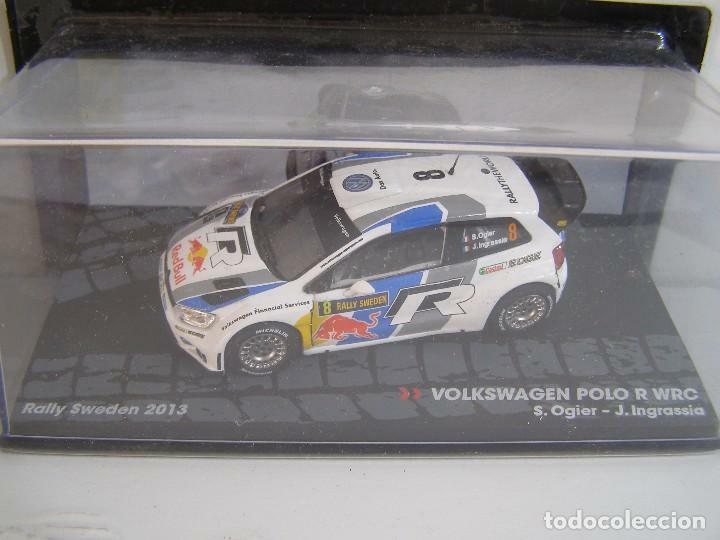 COCHE A ESCALA 1/43, DE LA COLECCION RALLY DE ITALIA EAGLE MOSS ALTAYA, MODELO VOLKSWAGEN POLO R WRC DEL RALLY DE SUECIA DE 2013. CITROEN DS3 WRC, RALLY DE ALEMANIA 2013,SORDO, COLECCION RALLY DE ITALIA, EAGLE MOSS ALTAYA 1/43. Hora oficial TC: 12:17:24 TR: 160 ms.